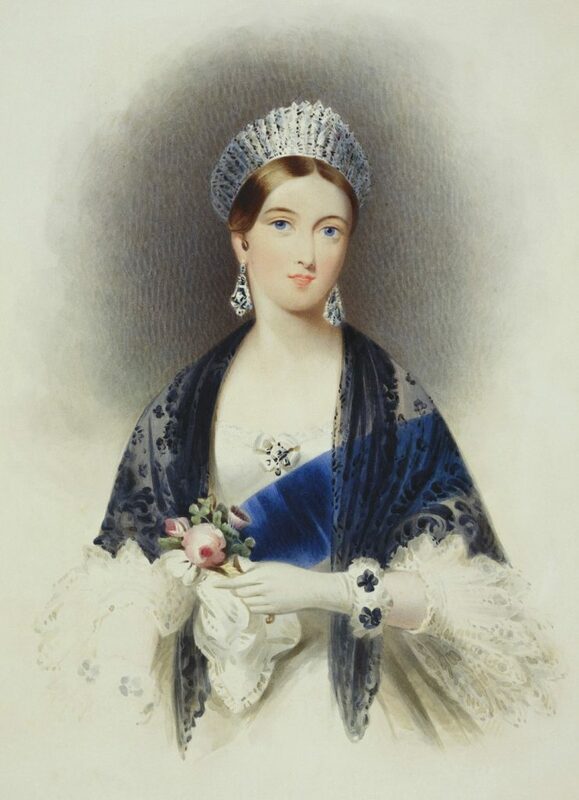 Today, I am very pleased to welcome historians Joanne Major and Sarah Murden with a wonderful guest post on Queen Victoria’s first visits to the London theatres upon her ascension to the throne in 1837! Queen Victoria ascended the throne in June 1837 upon the death of her uncle, William IV. She was just eighteen years of age and her youth symbolised a new beginning. We wanted to share the details of the first visit to the two main London theatres by the young queen as a reigning monarch, not least because there are some wonderful images of Victoria on those two evenings. Queen Victoria at Drury Lane Theatre, 15 November 1837 by Edmund Thomas Parris (1793-1873), drawn 1837. 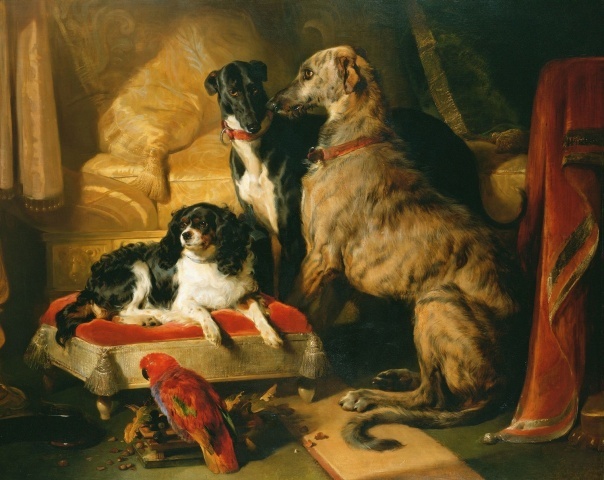 Hector, Nero, and Dash with the parrot, Lory by Edwin Henry Landseer, 1838. 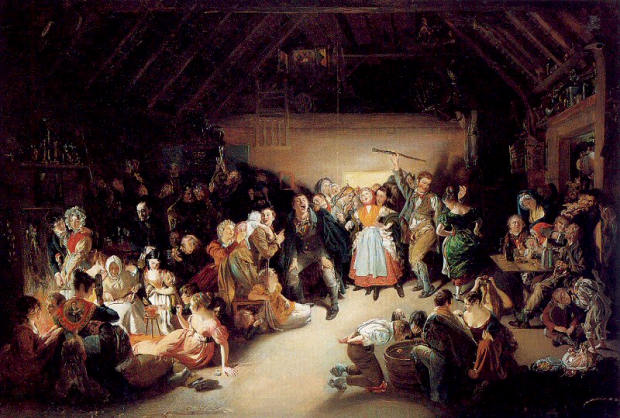 Snap-Apple Night by Daniel Maclise, 1833. 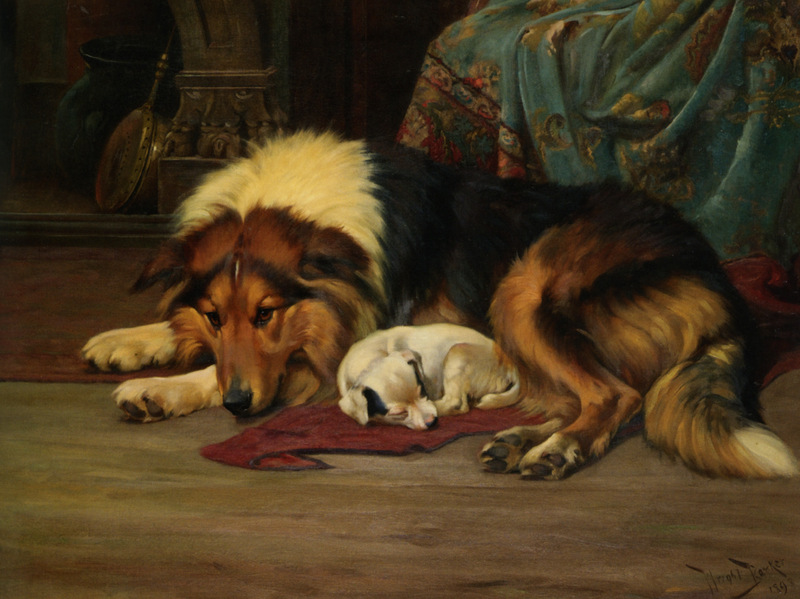 No Walk Today by Wright Barker, (1864–1941).